Crystals? Herbs? Healing? Learn More About It Here. 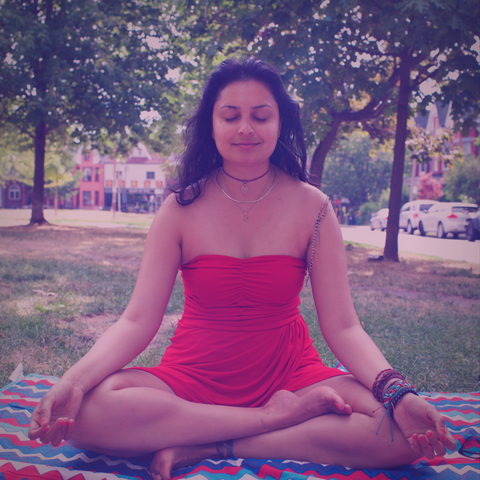 In this episode, I chat with Linda Iamundi, whom I met at my previous yoga studio in Toronto called Hot Yoga Wellness. She is my favourite Yin Yoga teacher. Linda is also a well-rounded healer. She is highly knowledgable not only on yoga and other sorts of therapies, but she’s also a nutritionist and into crystals! Meditation enhances lives. I know it has changed my life and that is one of the main reasons I bring it up with everyone, wanting it to influence and change everyone else’s life around me as well. For this episode, Linda spoke on yoga, and healthy living. She also spoke about how she shifted over to the vegetarian/vegan lifestyle. She’s a major advocate of animal rights. We also ended up speaking about the Dalai Lama, crystals, and so much more. It is definitely a jam packed episode. In general, this podcast breaks yoga down for beginners. Yoga is definitely one of my favourite ways to get where I want to get to – which is the best version of myself daily. So what are you waiting for? Click on play and listen to this podcast and I’m sure you’ll love it.